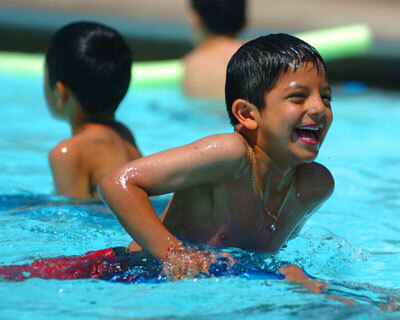 Summer Camp is a two night sleepaway adventure that's the highlight of the Cub Scout year. 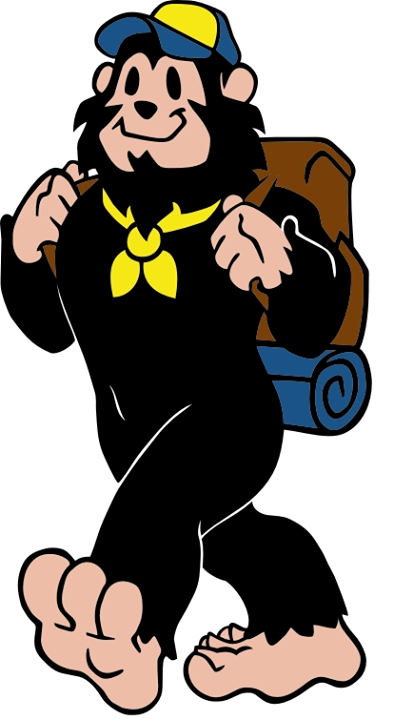 This year's theme: Campin' with Sasquatch! For parents, it's an opportunity to unplug and spend one-on-one time with your son. No planning, cleaning or volunteering required. For Scouts, each day is packed with fun and excitement from sunup to sundown. Year after year, this is the program the boys really look forward to. For each person in your family wishing to attend camp, each of the following forms must be turned in. 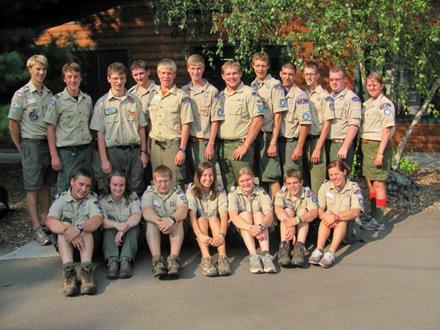 DROP OFF your completed forms and payment to the Cub Scout Drox Box on my front porch anytime: 4545 Garden Way N., Hugo. Deadline Thursday, April 10. Use the links below to download and print the necessary forms. Search for Sasquatch and take a photo with him! Lower-intesity skills like knot tying, fire building, and whittling*. Initially, we were hoping to go to camp at Kiwanis Scout Camp. The program was so popular- it filled up quickly. Phillippo's a bit further away, but it does have some things that our initial choice does not. Since its opening in 1964, Phillippo and its 450 acres of rolling fields, wooded campsites and bluffs overlooking the Cannon River valley and Lake Byllesby has become a destination camp for Cub camping in Northern Star Council. We want your stay to be comfortable and enjoyable. For that reason Phillippo provides some of the best facilities and equipment you’ll find anywhere. Tents: Campers sleep in two person canvas tents that are supplied by the camp. Program Facilities:Phillippo has facilities to make your experience comfortable. These include a dining hall, indoor plumbing, shower house, climbing towers, nature center, a swimming pool and much more. Food: All of your meals will be prepared by licensed kitchen staff and are approved by a dietician to be healthy and complete. They even do the dishes for you too! Phillippo is fully staffed with trained, and very enthusiastic leaders. You don't need to worry about meals or cleanup either. 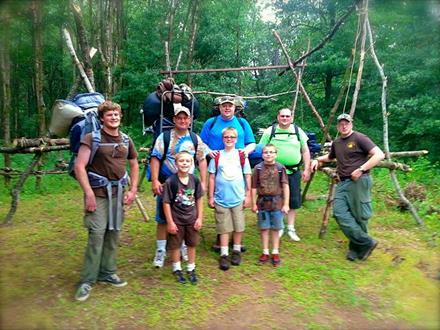 Cub Resident Camp's Webelos Outpost is an extra, optional opportunity for Webelos I Scouts attending this camp. It's a chance for these Scouts to travel to a more remote part of camp, set up tents and cook their own food while learning some more advanced skills. This opportunity is definitely worth the extra time and cost! Webelos I will enjoy the extra challenge, and younger Scouts will look forward to the outpost in future years. Weblos Outpost fee is $35/person. 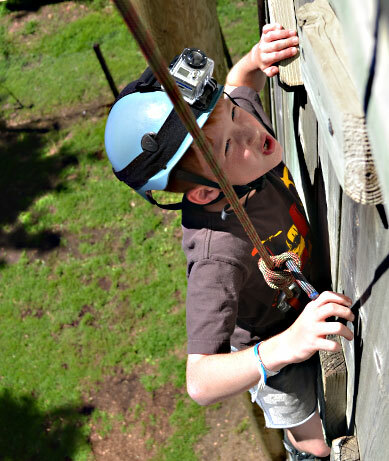 Webelos Outpost begins on Sunday, Aug. 3 and ends Monday, Aug. 4. The Northern Star Council and Pack 151 believes every boy should have the opportunity to experience the excitement of camping and wants to provide the opportunity for registered boys to go to camp. The intent of "Camperships" is to ensure that any boy with financial difficulties is not denied the opportunity to attend camping programs. Contact Pack Committee Chair Brandi Werra or Cubmaster Charlie Niven for more info. We have some Annual Health & Medical Records, health insurance ID photocopies, and Camping Participant Waivers on file for some adults and scouts who registered for other camps this year. Please ask the Outings Chair if any of your already completed forms are still on file.